Donatello is the best Turtle you'll ever find. He's the brains of the group and the designer of the Turtle vehicles. 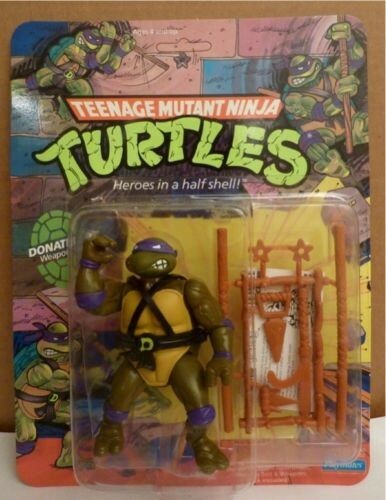 Rather than use his bo or brawn, Donatello would prefer inventing some device or clever apparatus to foil the foe. Still, Don's one powerful reptile with his staff, which enables him to parry, vault, and crush! Even Don gets "Turtle-sized" pleasure in stomping the Foot. After a tough battle, Don relaxes by watching programs on his own invention - turtlevision.